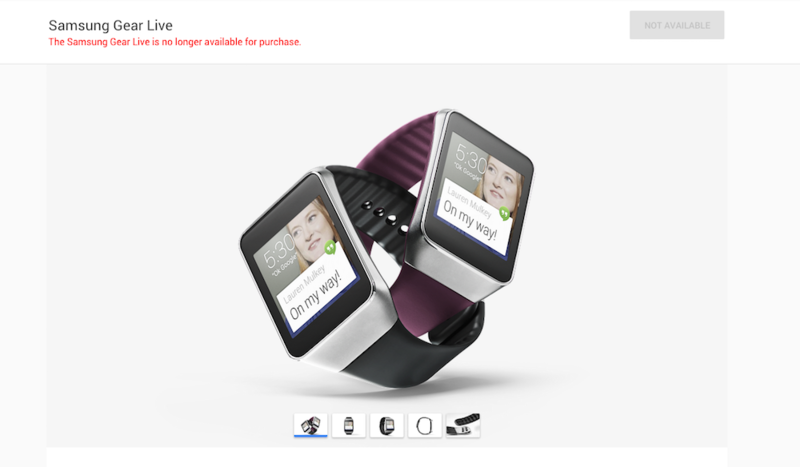 Samsung’s first Android Wear device, the Gear Live, is no longer available for purchase on Google Store. If you really need one, you can still grab it on Amazon for $199. Considering you can pick up a Moto 360 with Leather strap for even cheaper on Amazon ($169), that might be the better option.